Above: Apple Daily, from Taipei, Taiwan. 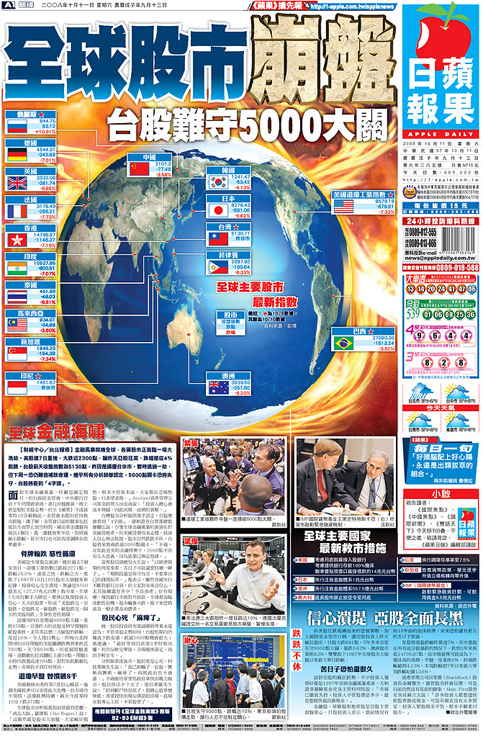 A Taiwanese friend of mine points out this is a tabloid, but I can’t resist the 100% over-the-topness. 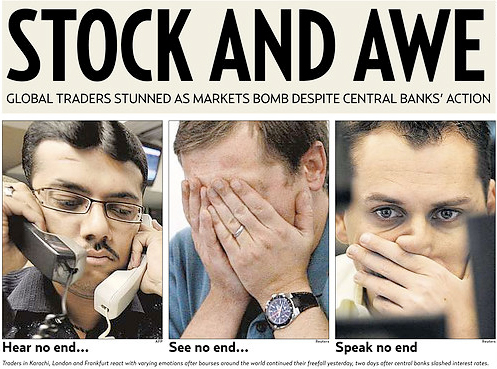 Stock and Awe, from Dubai’s Gulf News. Ironic, isn’t it? 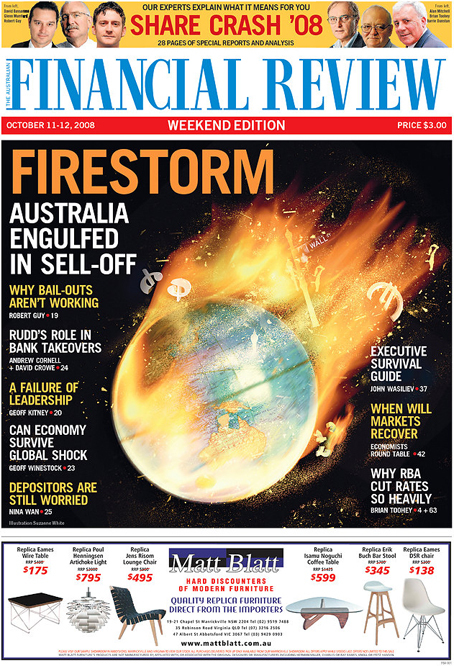 The Australian Financial Review from Sydney, Australia, is even more direct, see below. to newspapers around the world. This entry was posted by Erik Brandt on Saturday, October 11th, 2008 at 11:09 AM	and is filed under Aktuell, Education, Globalization, Graphic Design, International, Typografika.